BMW M5 Running Costs, MPG, Economy, Reliability, Safety | What Car? 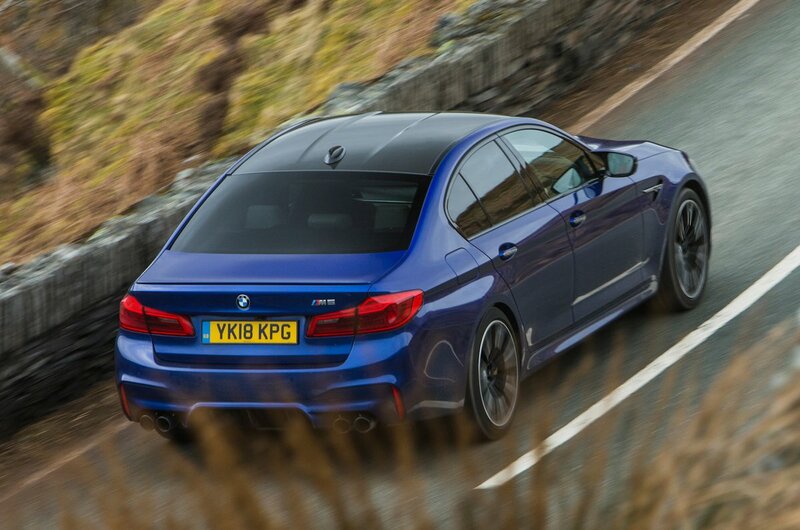 It might be beguiling, but the M5 is one seriously expensive 5 Series. It costs around £10,000 more to buy outright than the entry-level Mercedes-AMG E63, although the full-fat E63 S is more comparable in terms of both price and performance. In fact, BMW has also placed its super-saloon right in the firing line of the supremely capable Porsche Panamera Turbo – a car that has arguably more badge cache. And, despite BMW’s best efforts to reduce weight by using copious amounts of carbonfibre, aluminium and high-strength steel, the M5 is still only capable of producing an average fuel economy figure of just 26.9mpg. You can expect more than half that number if you use the full might of the engine. 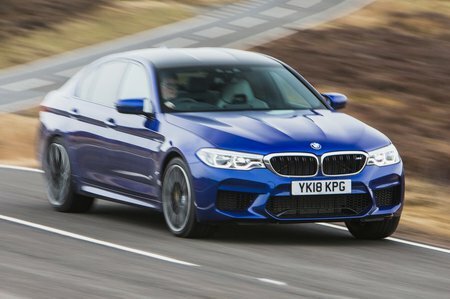 You’ll need deep pockets to run an M5 as a company car; a high list price and CO2 emissions of 241g/km, place the car in the top 37% band, meaning benefit-in-kind payments will be sizeable. Still, you do get plenty of kit for your money. As standard, it comes with 20in alloys, bespoke M bumpers and side skirts, a limited-slip differential and electronically adjustable heated M Sport front seats. And the list also includes adaptive LED headlights, front and rear parking sensors, adaptive cruise control and automatic lights and wipers. Step up to the sportier Competition and you get a number of additional design touches such as the kidney grilles, rear diffuser, real spoiler and tailpipes finished in gloss black. While inside the Competition the seat belts are finished in M division colours and the digital instrument cluster displays an “M Competition” graphic on start up. But of course, the real reason you buy the Competition is for the mechanical upgrades, which include tweaked dampers, a stiffer rear anti roll bar and more aggressive springs which lower the ride height by a not inconsiderable 7mm. Oh, and did we mention that BMW has teased another 25bhp from the already bonkers 4.4-litre V8 by fitting a sports exhaust and tweaking the engine mapping. In fact, both the M5 and Competition are so well equipped that you don’t really have to buy many options, but if you fancy taking your M5 on track (or onto an autobahn, for that matter) you might want to spec the optional carbon ceramic brakes and the M Driver’s package, which increases the top speed from 155mph to an eye-watering 190mph. 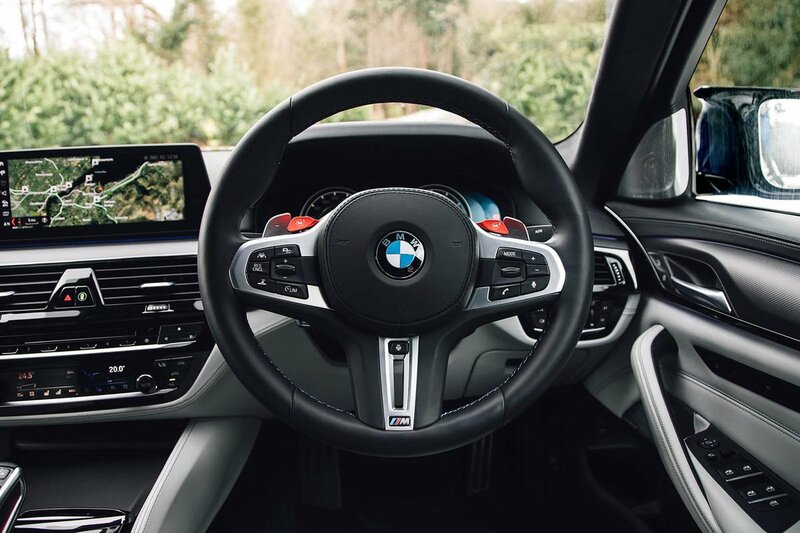 Although the M5 specifically hasn’t been crash tested by Euro NCAP, the organisation awarded the regular 5 Series its top five-star rating, with a particularly high score for adult occupant protection. Meanwhile, standard active safety systems fitted include automatic emergency braking, with lane assist and blindspot warning also available.